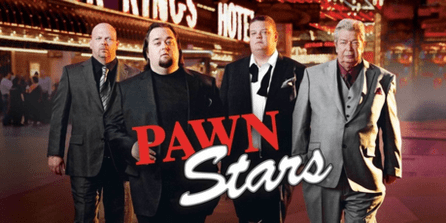 Pawn Stars is one of the most popular TV shows today. It is about a pawn shop and its staff located in Las Vegas. The owner is a middle aged man who works with his father (the old man) and his son. The show gives great insight into how a pawn shop runs and how people make deals. The only problem with the show is most of the items getting pawned on TV have something to do with history because it is shown on the History Channel. You never see anyone coming in trying to pawn a Rolex watch. I work in the pawn industry in a local pawn shop as well and we get preowned luxury watches like Rolex, Cartier, and Breitling every day. 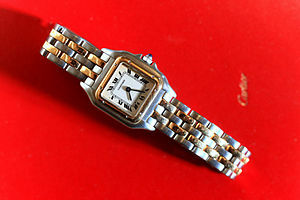 The hardest thing a pawn shop has to do is decide whether the watch is authentic or a fake. Rick, the owner on Pawn Stars, shows us how to do so in this video on YouTube. Rick definitely has some good tips but I have a few problems with his analysis. He says that every Rolex is made perfectly and if there are any defects at all then it is automatically fake. This is not always true. A lot of people who buy Rolex watches change the dials or bezels. They use aftermarket parts that may not be made as well as real Rolex parts. When this happens it may seem like the watch is not perfect. In order to decide whether it is a real Rolex, look at the movement. Only a tenured expert, representative of the watch company in question, or watchmaker can confirm whether the watch is authentic or not based on the movement. His advice on the magnification, however, is dead on. Most fakes do not use a 2.5x magnifying glass. It is easy to see when a fake is placed next to a real Rolex that the magnification is significantly different. Also, the model and serial number should be between the two lugs. If there is no model or serial number or they are engraved in a strange direction you can assume the watch is fake. Getting fooled by a fake Rolex can be extremely costly. For example a new Rolex Submariner costs over $7,000 while a fake Rolex Submariner costs between $10-$200. Dishing out that kind of cash to find out the watch you bought is fake is something that no pawn broker ever wants to experience.